Stone has been used for kitchens for thousands of years. Both marble and granite has stood the test of time and has proved itself time and time again. 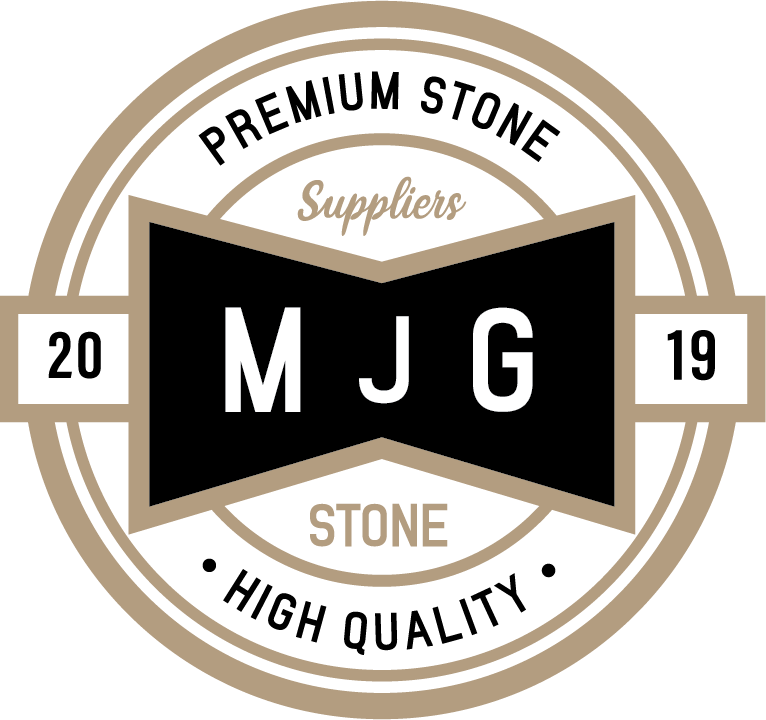 With the introduction of engineered stones such as Caesarstone, Silestone, Quantum Quartz, Essastone and Trend stone we can now offer more alternatives to that of the natural beauty of granite and marble. 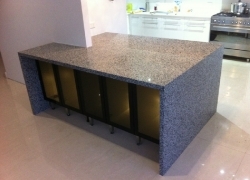 Engineered stones are extremely hard wearing and do not require the maintenance aspects of some natural stone. With design in mind there is not much that we can not do with stone. Your stone kitchen bench top can include mitered gables, rounded corners, carved drain boards or grooves and under slung sinks. 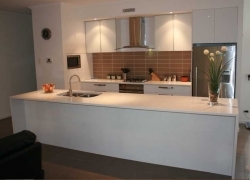 Your stone kitchen bench top is only limited by your imagination. If you can think it we can probably make it. Stone kitchens really are the ultimate in design; the ability to have a cool preparation surface is handy for all the pastry chefs. 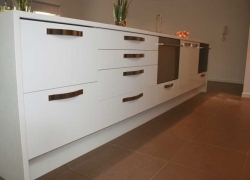 Our team of master craftsmen can ensure that your dream kitchen arrives on site precisely how you ordered it. 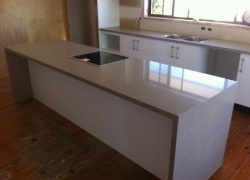 Stone kitchen bench tops will last the test of time, whether man made or natural stone, the products are extremely hard wearing and durable. 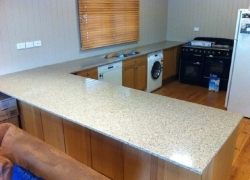 A natural choice for your stone kitchen bench top.